The following is a brief description of current Frank Deardurff Products, Books, Training, and Applications. Some of which are services are products that may have a joint venture partner on. New courses, books, and products are being created all of the time. If you’d like to keep up to date when new items are created be sure to opt-in in the space provided on this website. Why guess what your customers want and need when you can simply “Ask” them? This online marketing tool has been utilized by thousand’s of marketers for many years now to discover what’s on the mind of their website visitors. A new kind of cart system made for the marketer in mind. Imagine a system where you only pay when you make a sale! Focused on one-off sales, subscriptions, and memberships as well as many other features you will love. They say you can’t judge a book by its cover but most of us do. 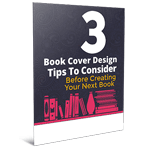 Shouldn’t your book cover be as good as the content you’ve worked so hard on? Chose a professional or custom design that stands out and get your book noticed. 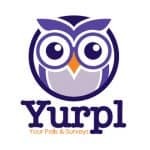 Looking for help with your WordPress site? We fix or maintain any website challenges you're facing. We handle either one time projects or monthly maintenance, simply tell us to "Just Fix It" and leave it to us. 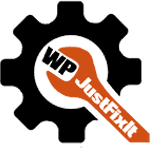 We will get your issues fixed the right way. 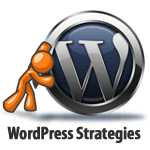 Create an affiliate tool page for your products on your own website quickly and easily with our WordPress plugin. Increasing your product sales through affiliate sales has never been easier than this. Get all of the website domains you want at a great price. No need to pay more at the big name domain registrars. 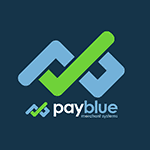 Get all of the same services including SSL Certificates, email, hosting and more, without the hype. 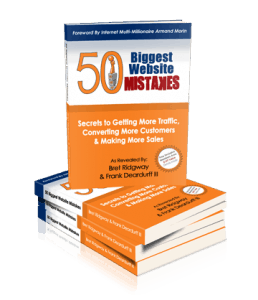 Wouldn’t it be great to know, and avoid these website mistakes ahead of time? You can when you get your copy of this book. 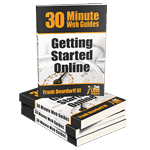 This book is the first in the “30 Minute Web Guides” series. Think of it as your Online Business owners handbooks. 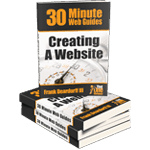 “Creating A Website” is the second book in this series. 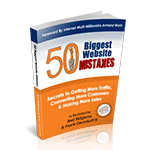 This book takes you through the website creation process. By popular demand, I’ve released an adult coloring book of my hand drawn doodles. Visit the site to see sample images. 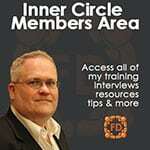 Private Members only access to all courses, training, tips, resources, interviews and the ability to ask Frank questions when ever needed to help learn and grow your online business. 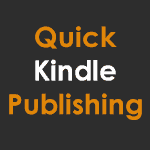 If you are wanting to learn how to quickly publish your book to Amazon Kindle, then this 90-minute training course is the one you want. Direct, to the point training for fast results. In this 90-minute training, you can quickly learn everything you need to know about creating your own podcast, start to finish. 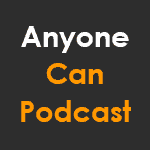 Even podcasting without spending another dollar. 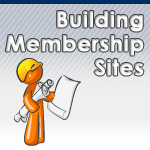 Having a membership site can give you a good stream of recurring income. Being able to create you own can save you a lot of money! 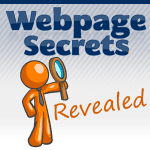 Learn how you can build, and manage your own site. This popular course shows you how to create your own website without the need of a webmaster utilizing WordPress, It includes topics such as membership sites, sales letters, strategies and top theme & plugin reviews. 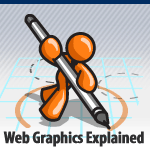 In this course you’ll learn about creating and editing the web site graphics needed in your online business, such as header graphics, logos banner ads, and ecovers. Also buying and editing stock photos. In this course you’ll learn about creating web pages with HTML and CSS. Although many sites today are created with WordPress it is good to understand the basics because HTML is used everywhere still.